What a beautiful read. 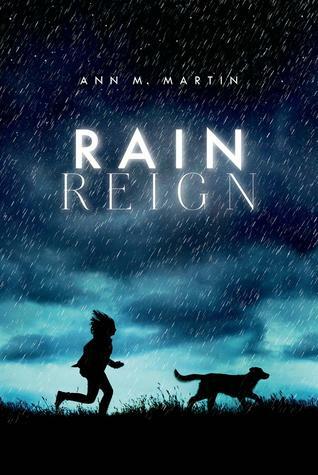 It's amazing to see how Ann M. Martin has grown as a writer since the days of the Babysitter's Club. Not that there's anything wrong with the BSC books - they're the most memorable and beloved books of my childhood - but fine literature they are not. I've read several of her recent novels, but I think this one is the best. It deserves to be a major contender for the Newbery award. As the synopsis states, Rose is on the autism spectrum - what until recently would be categorized as Aspergers. Rose is socially awkward, has a hard time understanding deviations from the rules, obsessed with homonyms, and is easily overwhelmed by outside stimuli, resulting in emotional outbursts. The book is told from her perspective, which takes some getting used to. It's laid out very linearly (so much so that it feels stilted) and includes references to numerous homonyms in parentheses. The awkwardness of the story's structure oddly enhances the book. It is exactly how I would imagine Rose would tell a story and therefore makes perfect sense. I assumed this was just going to be a simple dog got lost, girl finds dog story, but it has a lot more depth. It is a story of family trauma, of community suffering, of friendship (or lack thereof), and of hard choices. It is reflective of real life in that not everything is wrapped up with a happy little bow. There are many tears - both from Rose and from me. Rose has a difficult family life, and a lot of the book deals with that. She has a single father who lacks the understanding or patience to properly deal with Rose or get her the extra help she needs. He is, in many ways, a lousy parent, but I also felt sorry for him. It's clear that he wants to be there for Rose. He wants to be better than his own abusive father. But circumstances and his own personal demons stand in the way. Luckily, Rose has a wonderful uncle who understands and cares for her in ways her father cannot. As difficult as reading the passages with Rose and her father were, I admire Ms. Martin for tackling an aspect of life many children deal with so well. As one would expect, Rose has a very difficult time making friends. This is a great book to give a child who has an autistic classmate, because it illuminates her thought process so well. I feel like I would have been more understanding if I'd read such a book as a child. You can see that Rose wants to be liked and wants to be helpful, but her well-intentioned overtures of friendship don't typically go over well. But you also see how happy she is when she can make a connection, and also what she has to offer the other kids. I finished this book last night. After sinking in for 12 hours or so, it's only improved in my mind. It does have a youngish feel to it, which takes some getting used to since I'm accustomed to YA and adult books. But the messages in the story and the emotions are universal. I think it's an important book for children and adults alike. Everyone who reads this will learn, be entertained, and be emotionally impacted by Rose's difficult and touching story. Recommendation: Buy! Get thee to a bookstore and buy, buy, buy! You said buy I will buy! BSC was the only thing I would read at one point in my childhood. I haven't read anything else by Martin since. I will definitely have to check this one out after reading your fantastic review. I love books that open my eyes and are emotionally well done. One of my favorite books this year was also a MG read. I always love a good emotional book. They make me cry and crying helps you live longer. If I want to live long enough to read all of the books in my to be read pile I will need every advantage I can get. I had no idea that Ann was still around and still writing books! Her Babysitters Club series set me on the road to being a compulsive reader, so I am definitely checking this out! I am so intrigued by Rose.